Ahh, so just become like dirt bags.. That's the answer? Pick a side, condemn the other side and play dirty. It will, eventually, solve the problems. One day an AOC or an Ilhan Omar will snap and it will be filmed and millions of Americans will witness the effects of it while slamming their foot on the brake pedal of where those idiotic runts (yes, I used an 'r' there) are trying to manipulate this country in the direction of. The ends justify the means, especially when all the opposition seems to have are a series of dead ends. Don't worry, maybe in your lifetime you'll see another era where the Democrats deserve and receive respect, but for the foreseeable future, get used to mockery and condemnation because they have made governance a mockery and are worthy of nothing but condemnation at this point. This is what happens when you build your foundation on sand. ETA: "Changes her mind?" LMAO!!! Do you really think we want her to change her mind? Aw hell no, man. We love her just the way she is, because she is the greatest GOP fundraiser and strongest campaigner for the GOP come 2020 that we have short of the President, himself. 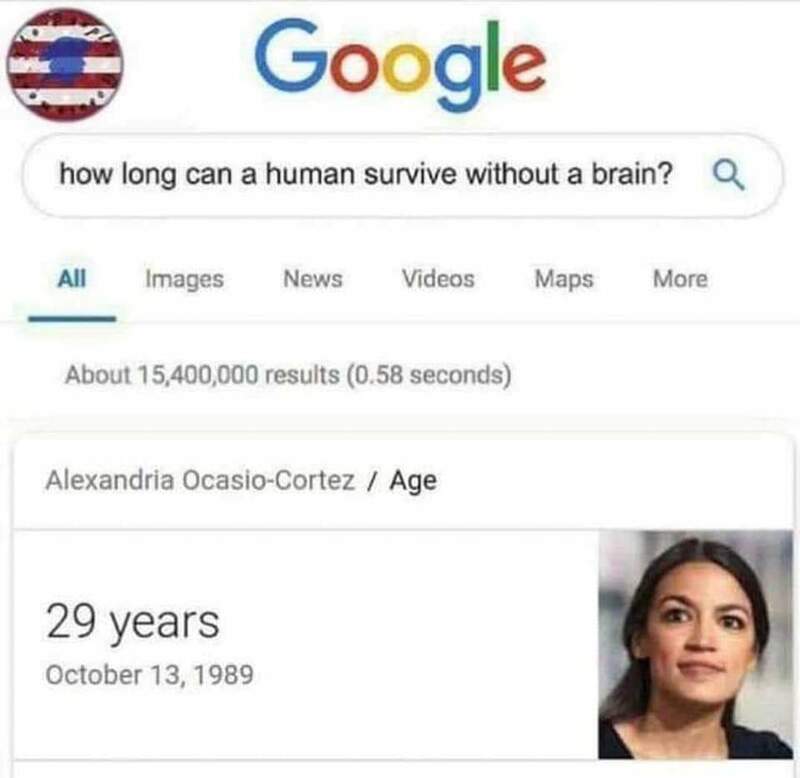 AOC is the Godsend the Right has been praying for. She needs to stay her course 100%, driving every moderate and non-Kool Aid intoxicated registered Dem out there away from her side of the Democratic party in droves. This is scumbag ambush journalism. Sometimes it can be funny, but there are better ways to do things. I dislike AOC, and Loomer may have valid points, but this is scummy. Loomer is a fruit-loop, but cortez and her leftist cronies made their bed, now they have to lay in it. Well, she did spend her first weeks in Congress searching for Congressman Phil E. Buster's chambers to speak with him about some things. That's not even close to what I said. How does screaming things at AoC in a crowd of people do anything? It's not like she was going to wander those accusations. So when the right does it, it's bad and stupid, but I sure didn't hear a peep from the left about how pointless and stupid it was when those women ambushed Jeff Flake during the Kavanaugh hearings. How does ambushing a politician while they are going somewhere and trying to scream questions at them while others shout "I love you" solve anything? First, it's no a politician, it's a a raving lunatic. Second, it's hard no to yell when they are walking away and refuse to answer. Third, it's ok for stupid people to yell out they love her, even morons have opinions. Yeah, can we just stop this limb for a limb tooth for a tooth harassment nonsense already? What is crawling into the gutter together like rabid pack of sewer rats really going to get us?